Richard Irwin (Belper, United Kingdom) on 28 March 2007 in Plant & Nature and Portfolio. I came across these tulips in an old walled garden at Elvaston Castle, a historic stately home near the City of Derby. Inside the garden it was warm and sheltered, so the flowers were out weeks ahead of those on the outside. I spent an hour or so in there, photographing various flowers, and making the most of the warm weather and splash of colour. It certainly brightened my mood for the rest of the day. I must admit that this is a welcome change from the scary theme. Beautiful tulip bulb you have here. The lighting is awesome. So beautiful I can smell it. Exquisite color and detail Richard! Magnificent image! beautiful colors! great closeup shot. Beautiful indeed, I love the colors, great photo! 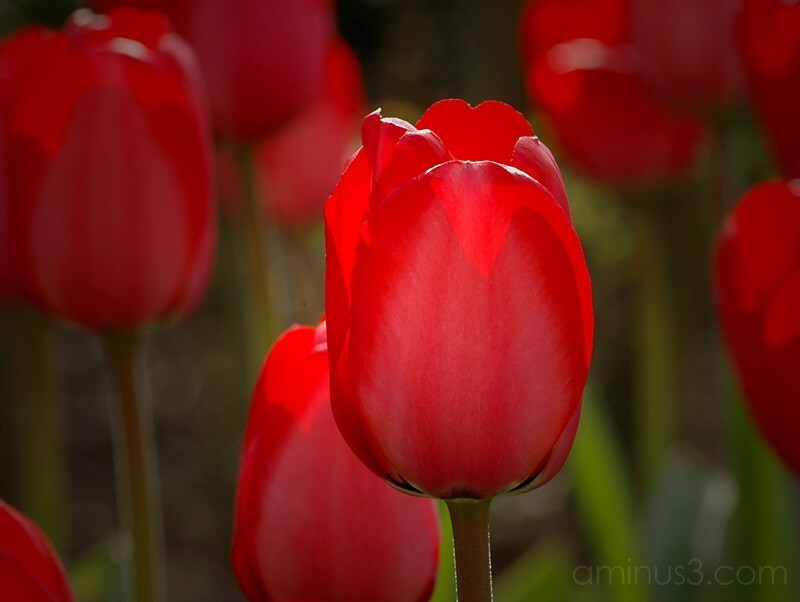 I love flower shots - I like the light on the tulip - can't wait for mine to come out! Looks like the light is coming from the inside of the flower. Lovely lovely lovely. Spot on as usual. this is a gorgeous shot. very nice glow to it! Beautiful picture of a tulip! Love the colours, lighting and positioning- nice composition!